Confirmed: The King of Comedy Passed Away! RIP Dolphy! Sad news! Philippine’s Comedy King, Dolphy Quizon (Rodolfo Vera Quizon Sr.), just passed away 8:34pm July 10, 2012, according to Partner Zsa Zsa Padilla. TV anchor Karen Davila also confirmed the report. 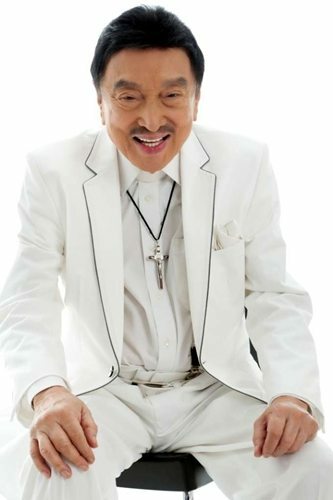 Manong Dolphy….we will miss you. ABSCBN has received confirmation that the King of Comedy has passed away. John en Marsha are together again. #RIPDolphy Long live the King Of Comedy! Condolences to you and your family Ms. @zsazsapadilla The whole country is unified in prayer tonight. RIP Mang Dolphy. Dolphy may have passed away, but the laughter he gave to millions of people will live forever. RIP, one and only King of Comedy. Our Comedy King Dolphy is now IMMORTAL. Long live the King! He is blessed because he did it for his family, friends and the people he loved so dearly. He has done his best. RIP Dolphy. Our condolences go out to the friends and family of Rodolfo Vera Quizon Sr. – he will truly be missed. May he rest in peace! You will forever live in our hearts. Thank you for all the laughter you gave us throughout the years.